Released on Monday 31st March 2014. 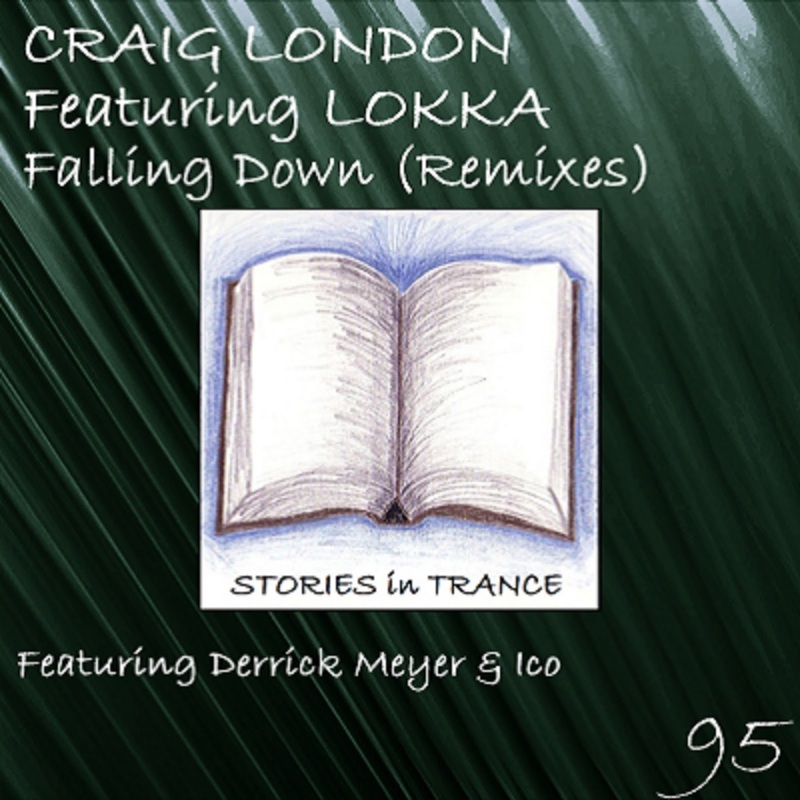 For its encore, Stories In Trance gives you once more Craig London Featuring Lokka with the double A-sided remix single Falling Down. The original mixes of Falling Down (SIT #90) were released earlier this year and after the huge success that it has had we offer up two more superb remixes to complete the package of this truly significant release. The first of two remixes comes from Stories In Trance legend Derrick Meyer who brings his unique style to create this superb version. Being one of the USA's best uplifting trance producers, Derrick's back catalogue with us is vast and equally great with his last outing - his remix of Fly Away (SIT #86) - being a perfect illustration of his exceptional talent. Once again he delivers the goods with his usual production excellence - his unmistakable melodic dynamics and expertly polished use of the vocals all amount to a brilliant retake on the original. Derrick always manages to surprise and delight with his inventiveness and supremely well composed productions, a true master of his craft. Completing this potent two-part reprise we have the Ico remix. Ico (John Erikkson) has made three fantastic appearances so far on SIT, most recently his great version of Thunderwolf’s This Is Our Life (SIT #75) and he is once again on top form with this sensational remix. Ico delivers an energetic, uplifting and emotional trancer with which he sublimely weaves the beautiful vocals and warm progressive melody and mids into an all round powerhouse of a track. This has to be one of the best uplifting vocal tracks in some time and certainly an early contender for one of the best tracks of 2014 - an absolute must have for all trance enthusiasts and DJ's around the globe.